Allow our kickboxing classes to help you achieve entirely new levels of health, fitness, strength and confidence. Join a class today and experience it for yourself. Our children’s karate programs have been specifically designed to help students get better grades, resist peer pressure, become more confident and to stand up for what’s right. these programs have been developed with your child in mind. From the beginning, learn fundamental defense techniques against common attacks. Whether your goal is to gain more confidence in the streets, or just when you’re looking in the mirror, training at everson’s will transform your body and your life. "Our Child & Adult Programs ensure you Get results faster, Why, because we care!" At Everson’s Karate in Robbinsville NJ, we've dedicated our lives to bringing the benefits of Karate to our community. We have programs for Kids, Adult Self Defense, and Overall Fitness. At Everson's, we have programs for each family member based on your needs! More than just giving you a new set of skills, we employ practical methodologies and provide an environment that alters unhelpful behaviors, promotes better / healthy habits, teaches new problem-solving skills and teaches you or your child how to be confident and successful in all areas of your life. Whether it’s overcoming academics, focus, weight loss, self-defense, fitness, anger, motivation, confidence or overall better health, we will design a program that’s tailored to you or your child's success. You and your child’s success is our only goal. We succeed when you succeed. That’s why our slogan “Because We Care” means everything to us. When you join Everson’s Karate, you join a family that will stop at nothing to make sure you and your child achieve your goals. We'd love nothing more than for you to become a part of our family. 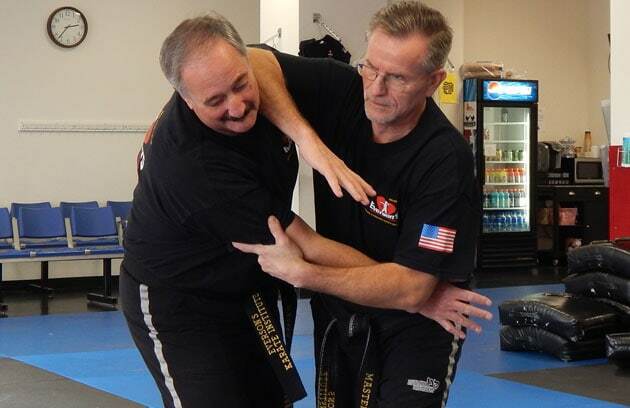 That way, you too can enrich your life, learn self-defense, and get in great shape. Together, these three elements lead to a happier, healthier life. Karate has always taught wholesome values. If you’re serious about life-changing skills for you or your child, skills that alter poor behavioral habits that will last a lifetime; then we have a program designed just for you. Do you or your child exhibit any of these issues? We are concerned about the well-being of you and your family. Everson’s Karate has successfully been teaching life skills to adults and children in the Robbinsville, NJ area for over 25 years. Our goal is to enhance your life and the lives of your children so that you can all accomplish your life goals. Everson’s Karate can Motivate, Educate & Inspire you to become the person YOU want to be! Whether working with you or your child, we will strive to achieve your goals working hand-in-hand with you to make sure you or your child achieve them. 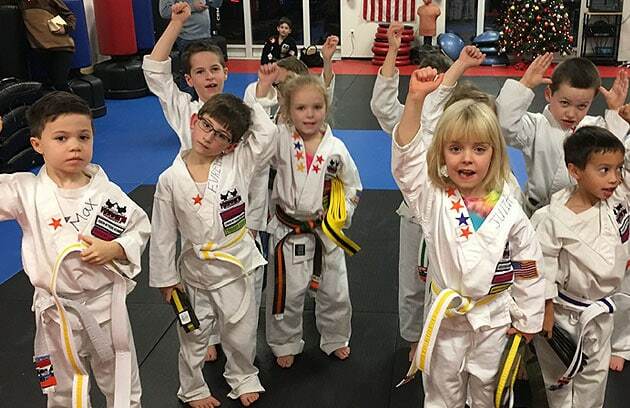 This isn't your normal Karate school, we are about making sure you or your child become an active, confident, self-respected member of the community with the focus to go out there and "GET IT DONE"! Our students learn how to harness their inner strength and work toward real, achievable goals. As a result, they are more focused, driven, self-assured and courageous, both in class as well as in other areas of their lives. Your family, Our Family, too! Not only do we treat our students and enrollees as our very own, but we include their respective families in our thoughts too! We strive to provide the same care that you always want to provide. We urge you to keep coming back. We teach you the right motivation according to what you’re currently going through. When you don’t show up, we’ll call. We’ll do a followup. We’ll check on you if you’re okay. Each student goes through unique experiences. No family is the same. That’s why we tailor specific programs and techniques to let each student take lessons piece by piece, goal after goal. Bye, Bad Habits. Go, Discipline. Each of our lessons allow our students to learn how to craft their own courageous choices and confident decisions. No more couch potatoes, but only courageous, confident, and highly-driven individuals. Still not completely convinced? 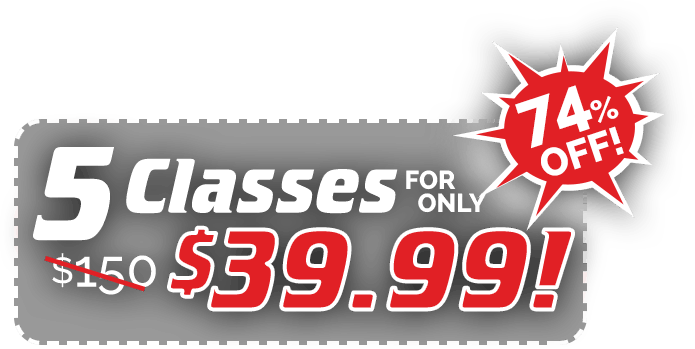 Our $29.99 trial offer allows you and your child to experience 3 Karate classes. It even includes a uniform that’s yours to keep, whether you choose to continue lessons or not. Gain strength, stay fit and achieve greater balance in your life with Everson’s Karate Classes. Helping you succeed with your goals is what we at Everson's Karate are all about. Our programs have been honed over 25 years for success. Everyone here - each of our instructors - is passionate about helping you or your child succeed. So, come by, have fun and enjoy your time here and see why our Everson's Karate programs are suited for you. And remember, there is No Obligation To Continue after your Trial Period if you are not satisfied with your results. 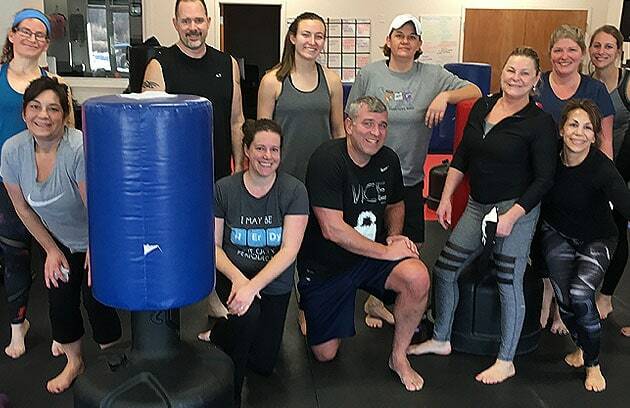 Everson's Karate has been teaching children and adults life skills, self-defense and fitness in Robbinsville for the past 25 years. Get started now by enrolling to even one of our trial classes. We don’t crowd our schedules, so hurry up! Let us show you what a positive, powerful impact learning karate can have for you and your child.